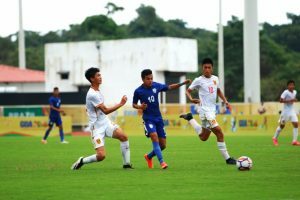 FIFA U17 World Cup: Team India to play Group League Matches in New Delhi! Home / Indian Football / 2017 FIFA U-17 World Cup: Team India to play Group League Matches in New Delhi! In less than ten days – on Friday, July 7, 2017 at 7pm local time – the draw for the 2017 FIFA U-17 World Cup in India will take place at the Hotel Sahara Star, Mumbai. Previous Narendra Modi assures continued support to Indian Football! Next Chelsea and Nike join forces to unveil Home and Away kits!